O&C Butcher | Blog > Aldeburgh > Our Newly Refurbished Ladies Department is Open for Business! Felicity and the team have been busy putting everything in it’s new home today but it’s been great to be open and we’ve had some lovely feedback from our customers – thank you. 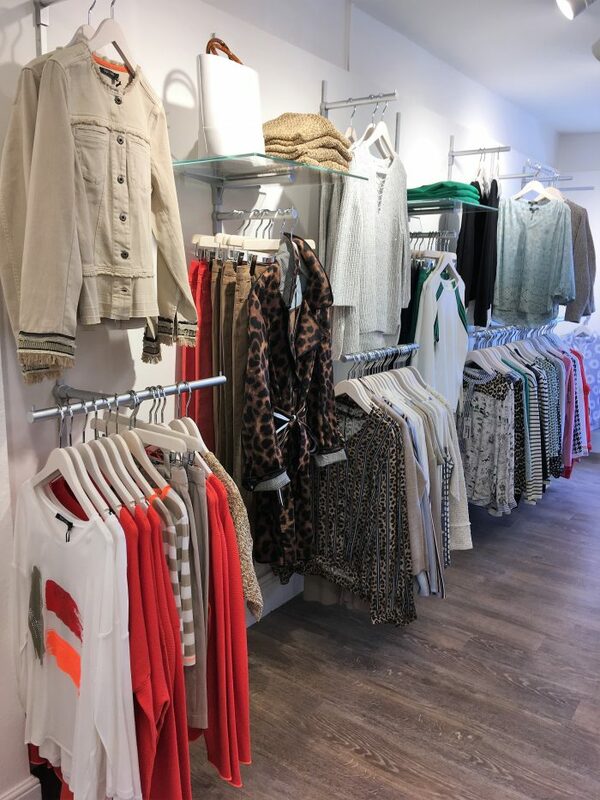 We hope you’ll agree that it’s a much brighter, better space to showcase our favourite women’s brands including Barbour, Oui, Gant, Ilse Jacobsen and Marc Aurel. The footwear finally has the space it deserves with shoe boxes tucked out of sight at last. It’s been a great project for us and we’re really pleased with the results. Many thanks go to Rohan Woodworking, Jeff Wright (Architect), Curles Electricians and Bradleys Building Contractors. This is just a sneak peek of the new look, if you’re coming to Aldeburgh soon then do pop in and see the rest!